Watch Zambia’s majestic landscape and exotic fauna from the comfort of your balcony at the Anantara Royal Livingstone Victoria Falls Zambia Hotel. Right on the banks of the mighty Zambezi river, and only 15 minutes away from Victoria falls, this colonial gem offers the finest creature comforts on your African getaway, whether that’s a riverside massage, delicious high tea, or the pleasure of uncorking a bottle of Champagne in your hotel room as the sun sets over the wilderness. The only hotel in Livingstone within walking distance to the Victoria Falls, offering a free unlimited access. 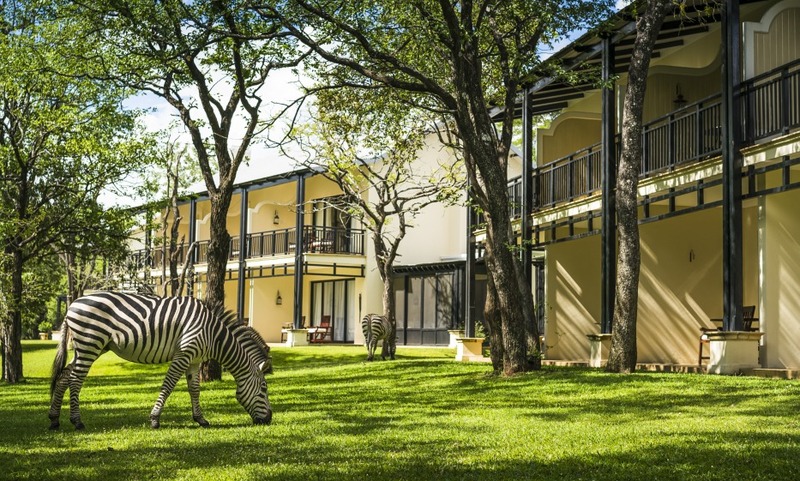 The property is located in the Mosi-Oa-Tunya National Park, where guests will enjoy the sights of free roaming zebras, giraffes and antelopes. Soaking up the river life while enjoying a massage in a waterfront spa gazebo at the Anantara Spa.